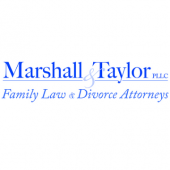 In North Carolina, even a relatively simple divorce or separation is governed by a wide array of laws. It can be difficult to sort through all of them, especially during an emotionally difficult time. For the sake of making our clients’ lives a little more convenient, we happily present the answers to some of the most commonly asked Raleigh divorce questions. Of course, this page cannot substitute for legal advice. For insightful advice related to your specific case, contact a Raleigh divorce lawyer through [firm-name], at 919-833-1040.